Feed4Life is a free Windows 8 pet Game app that takes you in the prehistoric world of fun. This a nice and easy to play game for pass time with different and increasingly difficult levels. This game app for Windows 8 starts with a story of a caveman searching for food for his survival and suddenly he saw a bone wrapped with flesh. As soon as he reached there, the bone turned into a hand-made hammer. And, the hammer says to him that feed my 4 pets or otherwise they will eat you. And then, from here all the fun begins. 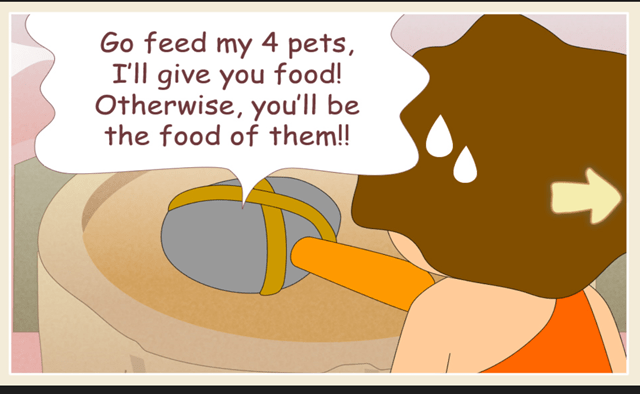 That poor caveman have to feed those four animals with the desired food they eat by hitting them with that hammer. This is how that hammer is talking to the poor caveman. And then the action begins. The caveman have to feed those animals one by one by throwing the food into their mouth with the help of his hammer. 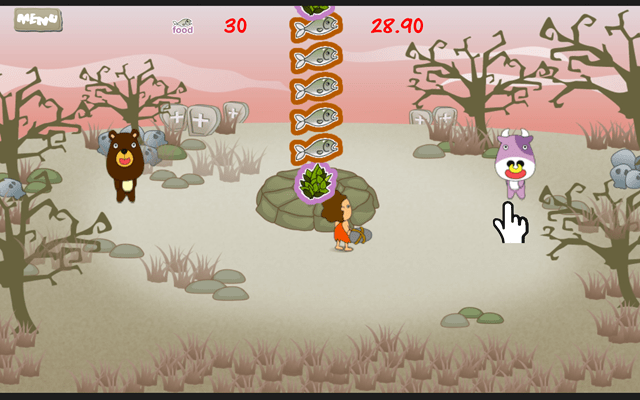 You will be playing the role of the caveman and have to throw the food by clicking on the animal for which the food is made. You can see there are only two animals now and it could be more as you move forward to the next level. You just have to click the mouse on the correct animal with the respective food in the queue. Just finish the game by emptying the queue. This is what will happen to you if aren’t able to manage to feed these animals on time. So, if you want to survive, then you have to be very quick. So that you can unlock the next level.